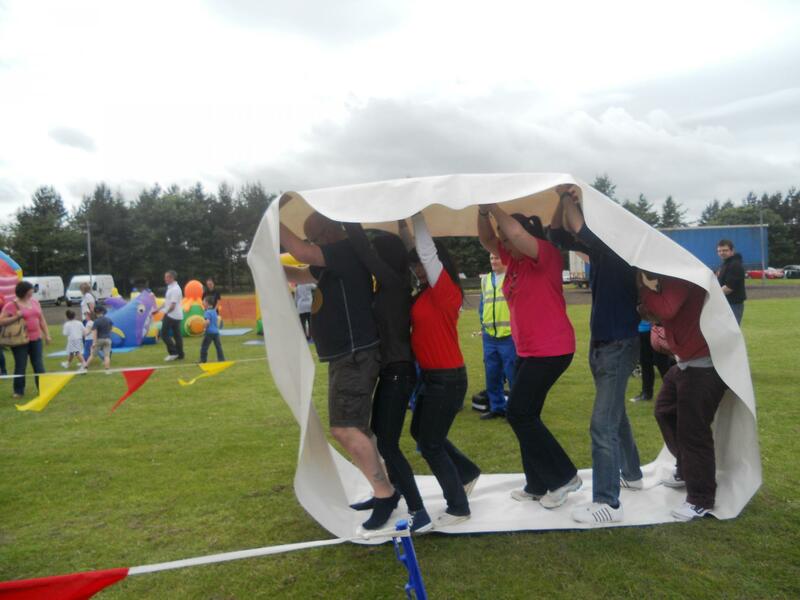 When Team Challenge Company arrived at Aviva's offices in Perth, we "insured" them that no matter what the weather decided to do, their Corporate Family Fun Day would still be a success. Luckily for the majority of the day the rain stayed away and everyone was able to enjoy the day! 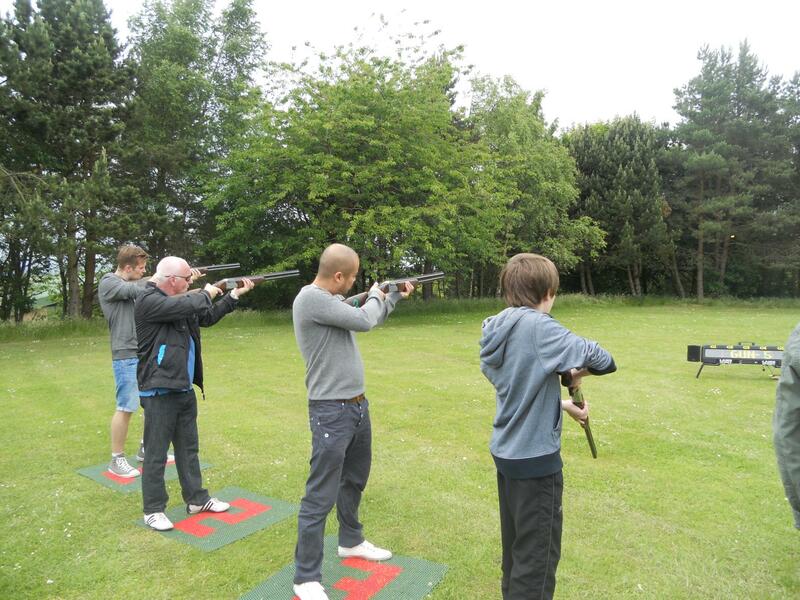 Throughout the afternoon children and certain adults had the opportunity to enjoy multiple Corporate Family Fun Day activities such as the Pillow Bash, The Human Demo and Laser Clay Pigeon shooting. For some of the younger kids there was the Bouncy Castle, Ball Pool and the Giant Slide which were available for everyone during the day! 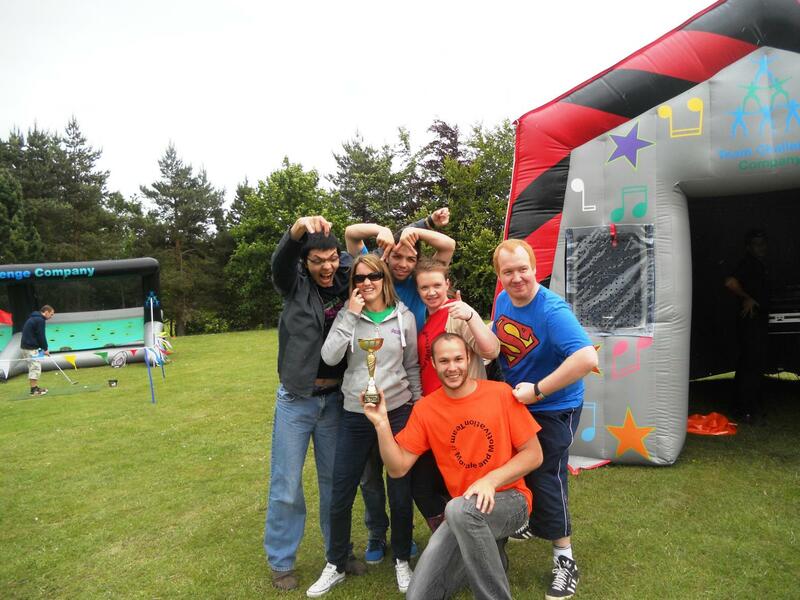 To split the day up there were numerous exciting Corporate Family Fun Day races for the kids to compete in. In the end after the normal races, sack races and the egg and spoon race, our champion Lee went away with a fantastic prize of a giant cuddly rabbit! Of course we couldn't allow the adults to miss out on the fun... Two separate teams came up to try their luck with the It's a Knockout Races; caterpillar race, sack race and then their final race on the skis! When asked to come up with a team name we ended up having "The Winners" and then "The Number Two's". Funnily enough, at the end of the day it was in fact The Winners who fought their way to victory to take home the Team Challenge Company Trophy! Our runners up didn't go home empty handed though, they were presented with the sought after wooden spoon! It's fair to say that the day could never have been such an amazing success without the incredible organisation from Lisa! We look forward to next year!